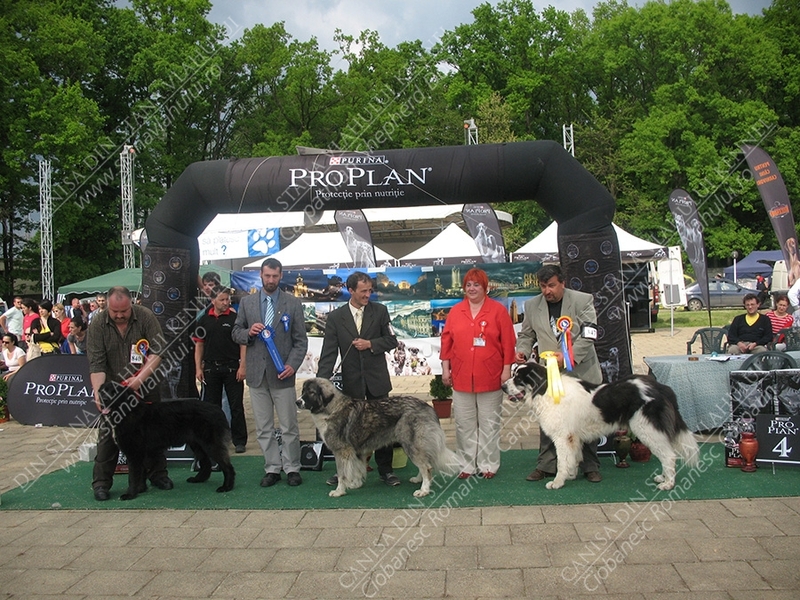 The dog breeding kennel called Din Stana Vlahului arose due the passion for the Romanian Carpathian Shepherd Dogs. 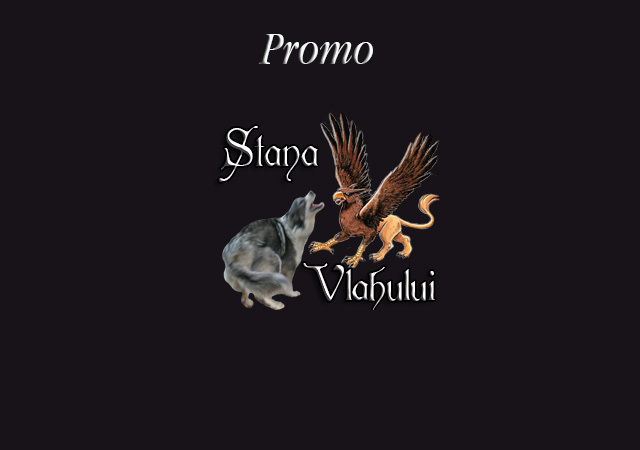 "It is bigger, stronger and, at the same time, by its own nature, closer to the wolf. Its look and attitude, which in moments of anger have something of a beast, can be explained through its way of life, far from people and in constant fight with the beasts willing to plunder. Only the shepherd has known its kindness and felt its devotion, courage and joyfulness. The still watchdog and the tireless guardian of the herd, all it wanted was the opportunity to show its gratitude to the person with whom it shared its piece of corn mush. Between the master and the "servant" appeared a fondness that only beings who live together can feel, only beings who share happiness and sadness, who wander the same regions and feel the danger together. 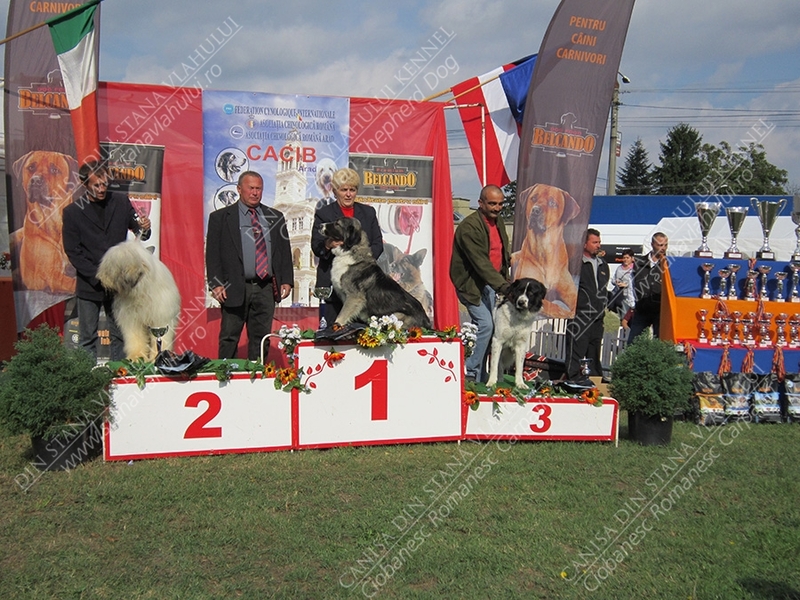 For a word of kindness it knows how to express its love but also, turned into a beast, it can throw itself, in rage, on the enemy, who often knows its boldness and many times stays away from its hostility.. "
Of our dogs: Lotru ot Araldream - RjCH, RCH,EuCH (European Champion). 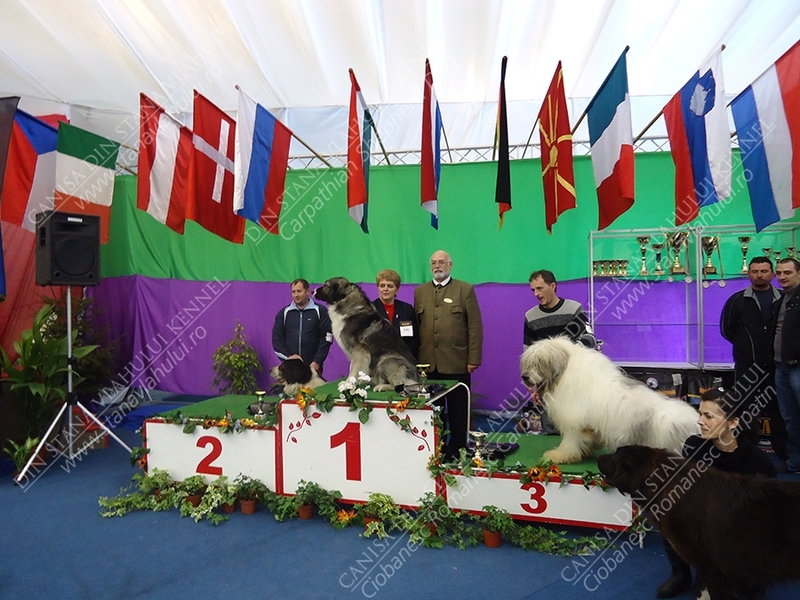 Born 31.07.2013 - Lotru ot Aral Dream (RjCH, RCH, EuCH - European Champion) and Sanziana a lu'Voarea (RPJ, CAC, R++). 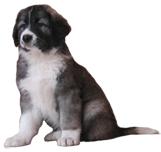 We hope that your "meeting" with The Romanian Carpathian Shepherd Dog, by means of these pages, to be an extremely pleasant one, and this genuine Romanian breed to be your first choice. You can call us at the phone number or write to the email address below. Copying (partial or total) of any published material on this site is strictly forbidden, without the permission of the site manager.